I had measles and mumps as a kid, theoretically no permanent harm. Fast forward to decades later and talking to one of my buddies who is 30 yrs my senior who got shingles about 10 yrs ago. He told me he would just tough it out as being WWII Marine vet as well as a professional geologist who worked in a number of countries he felt he knew what a little pain and deprivation were all about. He lives by himself in a cabin in the woods with a handful of dogs, 10,000 books and an internet connection. He said, Craig get vaccinated, cause you will not be able to "tough shingles out." Although he avoids doctors and hospitals like the plague he said he could not tough it out and had to be treated. I got a similar story from another tough old veteran friend of mine. I listen to the voices of experience from people I trust. I got the old shot a couple of years ago and got the shingrex shot several weeks ago. The arm hurt a day or so, but didn't impact playing tennis. Incidentally my old WWII vet friend eye-witnessed a tennis match between Billie Jean King and Evonne Goolagong. He has been smitten by Goolagong ever since. Telling someone to get vaccinated as the disease is painful or whatever - that is based on a huge assumption that the vaccine actually works. More people get the flu who have been vaccinated than who do not take the shot,the same can be said for numerous other shots. Telling someone to get vaccinated as the disease is painful or whatever - that is asked on a huge assumption that the vaccine actually works. Wrong never looked so good. My boring thread just had an upgrade .... thanks. I heard Jenny not only has a Phd in anti-vaxxology, she also likes her guys cut. 2Good4U was so overwhelmed by conflicting emotions he walked off the edge of the earth. Batsh!t crazy makes Jenny hotter ... and 2Good annoying. Funny how that works. It's funny because it's true! I was getting annoyed with this thread until this post. I look at all the people I know as my best indicator of the safety of vaccination. From that I have concluded vaccines are a real threat to the well being of the public as I know so many of my friends who have been harmed in one way or another. If their data does not back up this up,too bad. Look who in part funds their studies and you'll take their findings with a pinch of salt. I had a tetanus shot last year. Two months later I suffered a retinal detachment. I wonder if they are related? Other countries in Europe also are faced with addressing continuing reports of HPV vaccine injuries among their residents. In Spain, there had been 737 reports of HPV vaccine reactions, including three associated deaths, through January 2012. The creation of the Association of People Affected by HPV Vaccine (AAVP) was intended to address the issue of financial assistance for those suffering from HPV vaccine injury through lawsuits or government compensation. The AAVP even requested that the Spanish Health Ministry ban HPV vaccines from the official vaccination schedule for the country.6 7 More recently, a public health inspector in Spain has launched a petition against the HPV vaccine that has accrued 35,000 signatures so far. Is your arm still sore, OP? lol ... no, at least not from the shot. It was only sore for 3-4 days, and 2nd shot never got very sore. Japan banning HPV vaccines is one the biggest antivax myths. You're not helping your cause by spreading lies. Never said they banned the cervical cancer vaccine but they did have strong concerns if you read the earlier article. Your article claimed Japan banned HPV, and your new article is about the completely different MMR vaccine. Japan health dept hasn't banned either vaccine but has withdrawn their recommendation after public hysteria whipped up by the antivax community "until they could be sure of their safety". Numerous studies in Japan and abroad have since shown the safety of both vaccines and proven no link at all between MMR and autism, yet they are still not back on the list of recommended vaccines much to the frustration of the Japanese medical community. No surprise that there is now a measles outbreak in Japan. A difficult read as in a sad read. The coverup by the media is disgusting, no wonder they have lost the trust of the majority. The very sad story of Judith Beatty who nearly died from paralytic poliomyelitis. This is a huge concern, a clear breach of freedom of expression. the spread of fake news and disinformation. 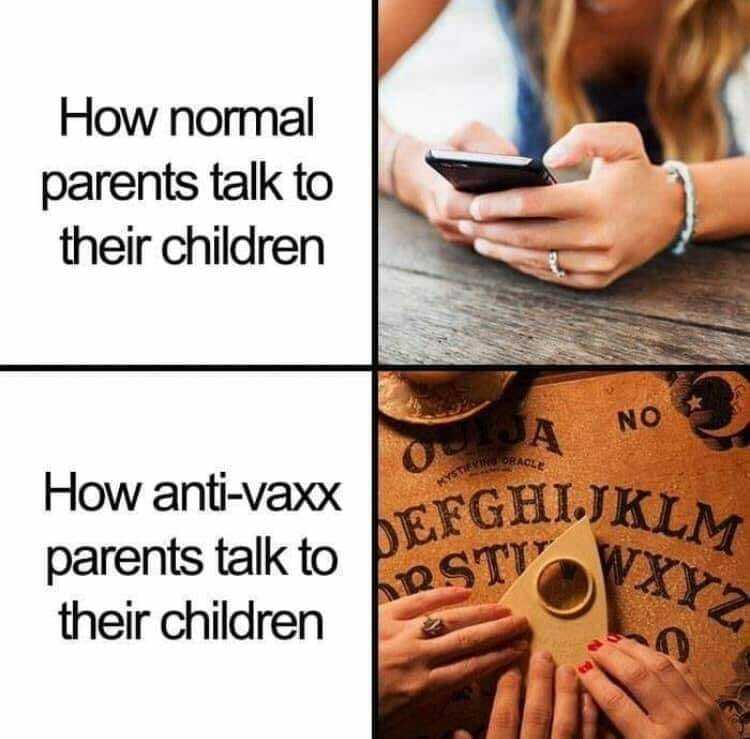 Nothing pisses me off more than the anti-vax community. Clearly a sign that morons are close to running the earth. Antibiotics and vaccines have been the two greatest medical discoveries of all time and its not even close. They were proven effective long before Big Pharma was involved and continue to be effective today. The risks so far outweigh the benefits its crazy. People take radiation and chemotherapy for cancer and those things have 5% risk of serious complications. It's like 0.00001% with vaccines. I've seen polio. I've seen subacute sclerosing panencephalitis from measles. I've seen Guillain Barre Syndrome from the flu. I've seen post encephalitic parkinsonism from the flu. I've seen elderly people we've had to put in a coma because of the pain from shingles. These are some terrible diseases. 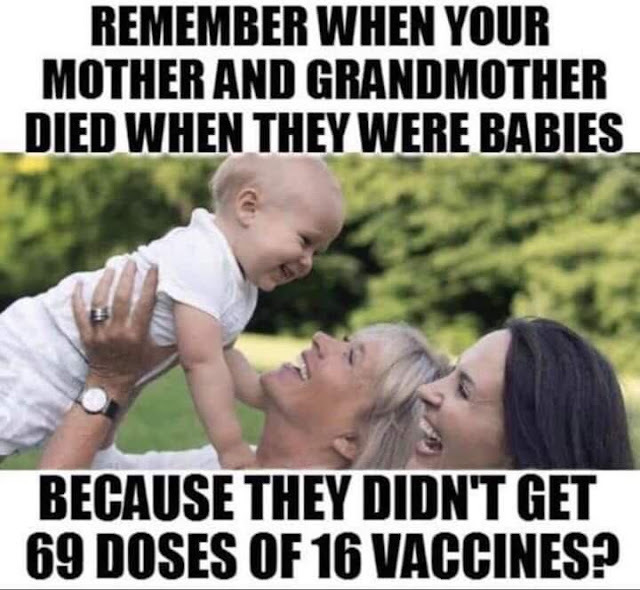 Vaccines are a godsend to help us prevent them. The problem today is the anti-vaxxers have no real life experience with the diseases we now prevent with vaccines. Small pox, polio and influenza have nearly decimated populations in the past. Apparently humanity is doomed to repeat history because stupid people can't learn from the experience of previous generations. I guess that's why we keep fighting wars. That being said, maybe when I'm old enough all the antivaxxers will convince the world that viruses are a good thing and we can all have a big epidemic, rid ourselves of all half the human population and settle down this global warming thing. Nah ... shot to high with 50%, only 25% are worth keeping. First ... concerns on all sides are very significant, some of the most consequential decisions we make in a society. Injecting anything in our body will always come with risks. Throw in the profit motive of big Pharma, and imo our government and society being run by big $, and it would be foolish to follow like sheep. But there is the other side ... the real risk of mass deaths, pandemics, etc. So it's like many things, there is no risk free choice. Driving to work is not risk free. You try and make the best risk vs benefit choices, knowing it's not 100%. It would be great if each of us could make our choice about vaccinations for ourselves, and our family without effecting anyone but ourselves, but it doesn't work that way. Vaccinations is a tough debate because it's an intersection of "rights" and "limits to those rights" .... and real potential life and death consequences. In general, you have 100% of your rights up to the point they become in competition with someone else's rights. You can yell fire all day, but not in a crowded theater. You have the right to swing your fist just short of someone else's nose. No such thing as unlimited rights. So if we talk about vaccinations in terms of rights .... there is a competition between "your right to not be forced to get a vaccination for yourself or your kids" vs "other's rights to be able to go to public places and not catch measles, etc". So for someone claiming autonomy in their right to not get vaccinated, there are follow up questions. If you or your kid catch something ... measles, polio, etc ... does your autonomous 100% limitless right allow you to go to public places. Can you get on a plane or train infected? Can your kid go to school? If you say ... "no, I accept that I can not go to public places infected", my next question is "how do you know you are infected"? You are almost always contagious before you know. IMO .... concerns are valid on both sides, but I see no way based on history that this works by large parts of the population avoiding vaccinations. I never hear the antivaxxer follow up details on their self-quarantine plans when infected. Even if they came up with a logical plan, most can't stay home from work ... they need the paycheck. For many, public school is where the kids are during the day, and both parents work. There is no $ for personal home care for the kids, and that puts another human (home care nurse) at risk of infection. I think the thing that pisses me off the worse in this debate is it's invariably the small government tribe that tends to be the anti-vaxxers. It would be one thing to say ... in an effort to protect an individual (and their family) right to NOT vaccinate, they would be for government infected safety-nets. Public free screening, public free place to quarantine the infected kids, enough worker's sick days to stay home long enough to no longer be contagious, triage setup at urgent care (should have that anyway) and ERs so everyone in the lobby doesn't catch it, etc). You will never hear that follow up .... just "it's a violation of my rights". Here is the video of Exley for those willing to spend some time researching rather than just believing vaccines are safe. They are not safe,in fact they are toxic and cause a whole host of diseases. 1200 people have died in Madagascar from measles outbreak this year. I don't know any human that has died from a vaccine. Just a lot of wacky anecdotes of vaccine related illness that lack scientific validity. Chris Exley makes money from a company that sells silica rich mineral water to detoxify people of aluminum. He's hardly an unbiased source. He's said Aluminum causes Alzheimers, breast cancer and autism. I'm sure he'll track down a few more diseases to link to Aluminum and help his mineral water investment further. The more diseases a toxin is said to cause, the less likely it is to cause any of them. The corollary is also true. The more diseases a treatment is said to cure, the less likely it is to cure any of them. It's been mentioned several times that doctors and nurses are the least vaccinated in our community. They obviously have first hand experience to their side effects. 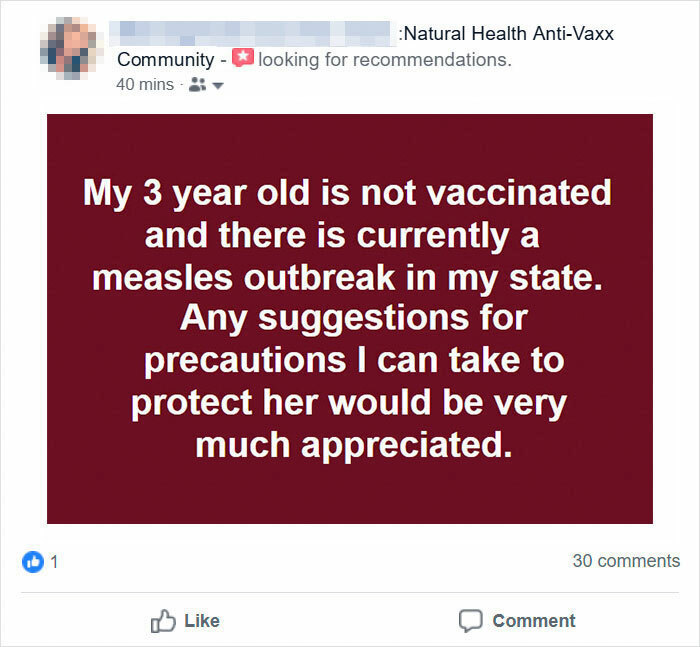 And what's with the 'Anti-vaxxer'? people into taking their 'bad medicine'? That SHOULD tell you something RIGHT there. you'd have to be a straight up moron to get them. What's up over50'schamp? Long time no hear from. Were you banned or did you just create another account to support your anti vaxxer views? You probably thought not mentioning circumcision would fool people but you need to change your writing style as well. Anyway, welcome back and hope you're getting some good hitting in this spring. pretty much indefensible, when all the FACTS are in. So they do the only thing they can, getting offensive with those that don't fall for their indefensible BS. IF you REALLY knew WHAT was in that syringe, (and you had any sense) you'd CRINGE. BS. Doctors and nurses get vaccinated at much higher rates. We all get the flu vaccine at my cancer centre. The amount of aluminium is inconsequential compared to environmental exposure just from breathing and there is no mercury in 90% of vaccines these days. It's just anti-vaxxers reaching for excuses to support their movement and sheep following along. Here is the link to the article from Perthnow.com. Doctors and nurses are the least vaccinated in West Australia anyway. How is your knee doing? I saw your thread. That was bad luck ... hope you heal quick. How did you get hit by a boat? Skiing? That article said that 50% of health care workers were vaccinated and doesn't at all say what the rate in the general population is. And this is flu vaccine, not measles or polio. Our health care facility has strict rules whereby you get vaccinated and show proof or you wear a surgical mask to work all through flu season and get no sick days for flu related illness. And in any event, most health care workers don't get vaccinated because its a pain to stand in line at the one flu vaccine clinic they hold at the hospital in October. Once they started holding more and the lines weren't as big, it improved rates of vaccination. Then once they brought it a no tolerance policy for the flu almost everyone got vaccinated. I'd say maybe 5 mask wearers in the clinic. It must be so hard for MD's like @Dartagnan64 who put in so much time and hard work in academics and actual professional medical experience to have to listen to uneducated conspiracy theorists who don't' believe in science and think the earth is flat. I had a few of these types trying to convince me surgeons are butchers and yoga and herbal remedies would fix my hips. Chipotle would have cured it, unless they were having a e coli repeat. Should we just take your word for it, like the Vaxx'ed suckers do about what some product a corporatation they're only so happy to inject into them? Again, I've heard SO many rationalizations from the pro-pok'em crowd, it's just too easy to say ' The amount of aluminium is inconsequential compared to environmental exposure just from breathing and there is no mercury in 90% of vaccines these days '. Herd immunity? (more like 'heard immunity') It's REALLY just a herd mentality, from a bunch of easily herded sheep! Again, why try do use ACTUAL facts to DEFEND your view, just go on the offensive, since it's all you have. 'It must be so hard' for vaxx-pushing 'believers' to defend the indefensible, so they don't bother.